It's safe to say that the Omise's first open house of 2019 ended in style. First of all, we would like to thank all the attendees for your great participation in this event, and we hope to see you at our next one. Secondly, we would like to give a big round of applause to all our guest speakers for sharing their technical knowledge throughout the event. 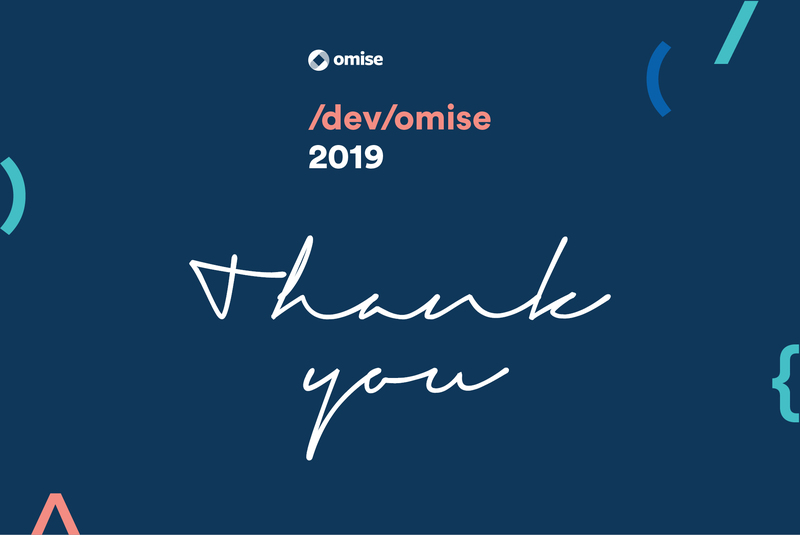 Lastly, we would like to thank all Omise team members that helped organize this event making it a truly memorable experience for all parties. In case you missed it, don’t worry, we have gathered some of the key takeaways from the event to give you an inside of what went down. We are pleased to announce that we are now adopting more payment options for the benefit of our partners. Omise merchants can now request payments from TrueMoney Wallet, Thailand's no.1 e-Wallet platform (currently in beta) and Alipay, China's leading online and mobile payments platform with over 500M users. The addition of new payment methods will make the purchasing process easier for customers and help businesses perform better by improving their sales growth. Omise team will continue to work hard on developing new payment solutions for everyone. At Omise, we are an API-first company, and we focus on optimizing a smooth integration experience by making our framework simple and developer-friendly. We understand that the easier the integration process is, the quicker our merchants can start accepting payments. Our API supports all major programming languages, and our web and mobile libraries are PCI-DSS compliant making them safe to use. We understand that the reliability of our services is of the utmost importance, therefore, we operate on a cloud-based platform ensuring that transactions are congestion-free even during peak processing times. A well designed UX also contributes to the seamless experience that customers receive. At Omise, we give merchants full control over their checkout page and we allow businesses to focus on developing their product and web design while we take care of security. “We want you to have trust in our product. Think of a water faucet, when you turn it on, water will always come out. You don't need to know how it works, but you know that it will always deliver. "Omise provides clean and updated documentation which is hard to find these days. By keeping their materials updated, users can manually access into a resourceful library whenever an issue arises." "Their dashboard is easy to use with advanced search filters, from transaction amount, date range, to the name on the sender's card. This makes it much easier for merchants to track and record transactions." "Omise is continuously working to improve its payment solutions for merchants; recurring and installment payments, payment links, Alipay, and TrueMoney Wallet (Beta) to name a few." "They have an active community forum that's useful for knowledge sharing and support."